After gaining extensive mechanical experience in servicing marine engines for many years, starting up a full sales and service marine dealership seemed the logical choice for owner John "Buster" Kamlade, Jr. So began the start of Tim's Marine back in 1975. 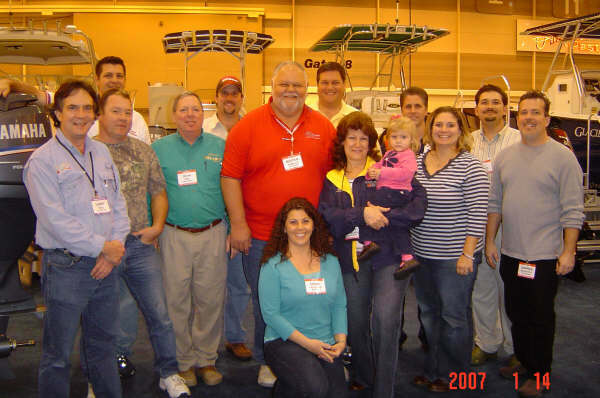 While it began primarily as a service facility, the store quickly added sales products which included boats, outboards, trailers, and marine accessories to offer to its growing customer base. Since those early days, Tim's Marine has expanded by leaps and bounds, thanks to the support of so many of our customers. Today it is an area leading sales and service marine dealership with an employee team whose core focus is still about "servicing the customer". As store Sales & Marketing Manager, Stacy Spencer tells it: "Buster has taught us well. His approach to doing business is simple and straight forward. We can forget about new sales in the future if we do not provide good service to our customers today. It has been our recipe for success." In order to assure our customers many happy days on the water, Tim's only offers the best quality boat, engine, and trailer products on the market today. Boats from: G3, Custom Flat, Pathfinder, Sportsman, Triton, Maverick and Hewes; in both aluminum and fiberglass, are always on display at our dealership. With sizes ranging from 10 to 32ft. in length, we have something to fill most any need. Engines from Suzuki, Yamaha, and Honda are in stock and ready to re-power your boat and get you back on the water. Trailers from: Magic Tilt, Amera-Trail, EZ Loader, Sport Trail and Bear; in both galvanized and aluminum, will carry you confidently down the highway to your favorite water site. Please explore the rest of our site to get a closer look at what we have to offer. Whether it be sales, service, parts, or rigging; the experienced staff at Tim's Marine will be glad to assist you with what you need!